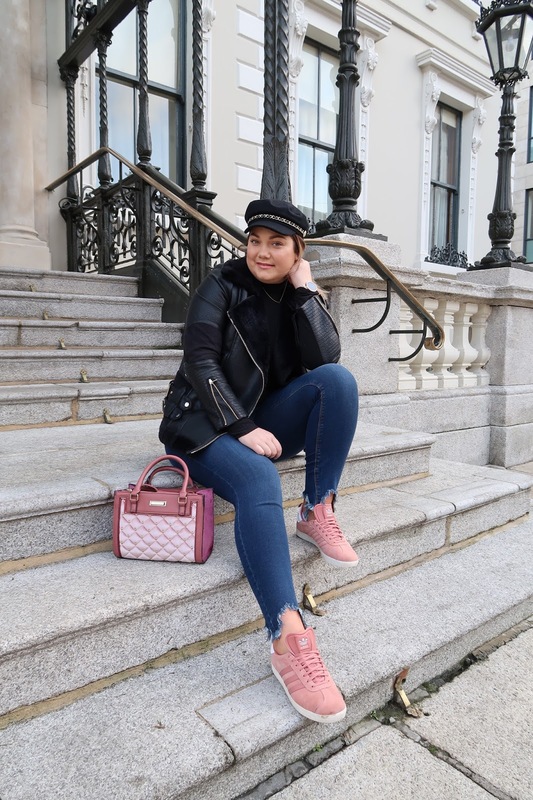 Casual January street style is about layering, adding a pop of colour as we look forward to spring and embracing your own style through accessories and details. 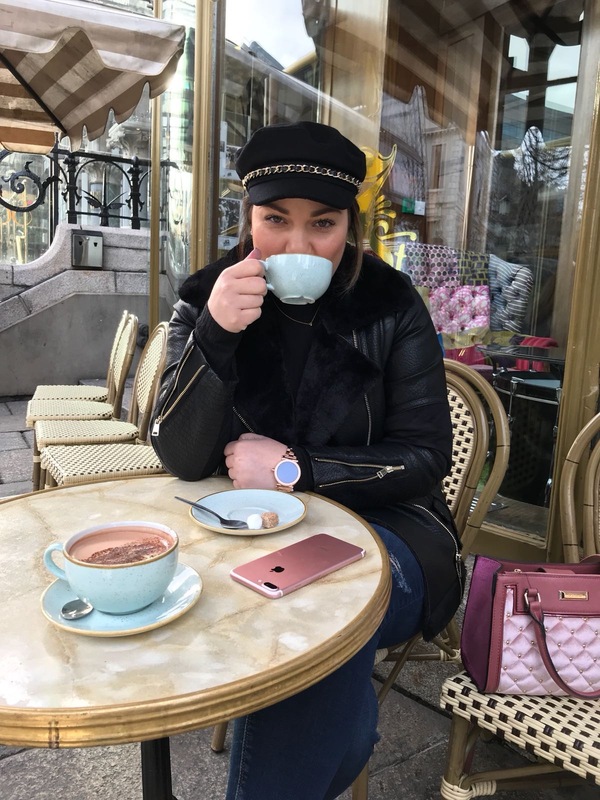 You never really know what the weather is going to be like so layering up is essential for a day in town, and remember to always keep an umbrella in your handbag. 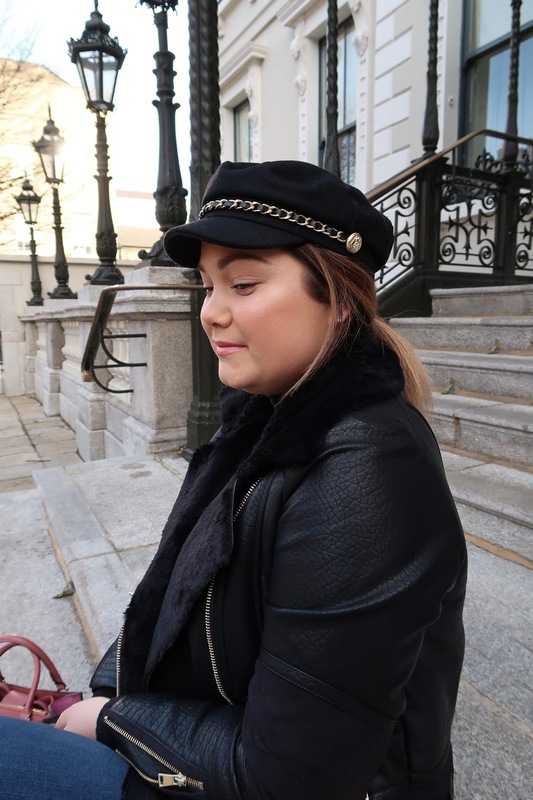 This casual street style look features some fab new ripped hem denim jeans, a classic black knit top and this beautiful leather jacket with fur and gold details. 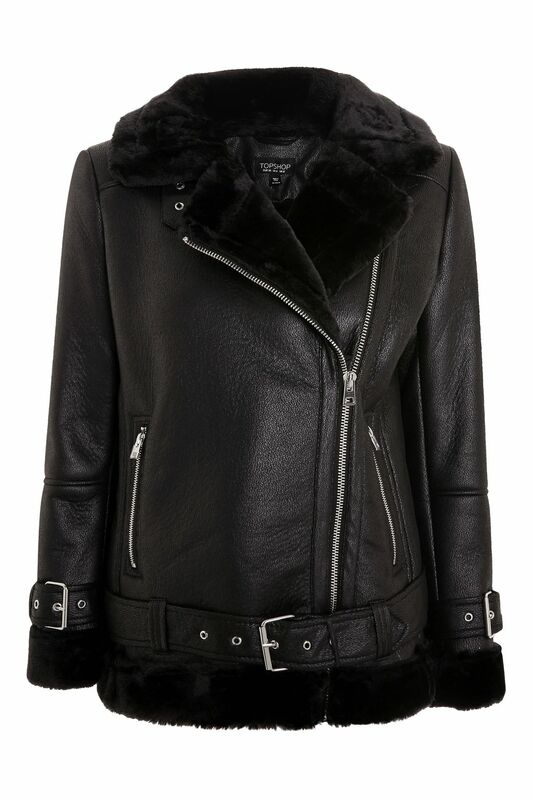 This jacket is perfect for this time of year, it is easy to wear and stylish. It is an understated jacket but you are sure to have people asking you where you picked it up! Check out some similar style jackets below. 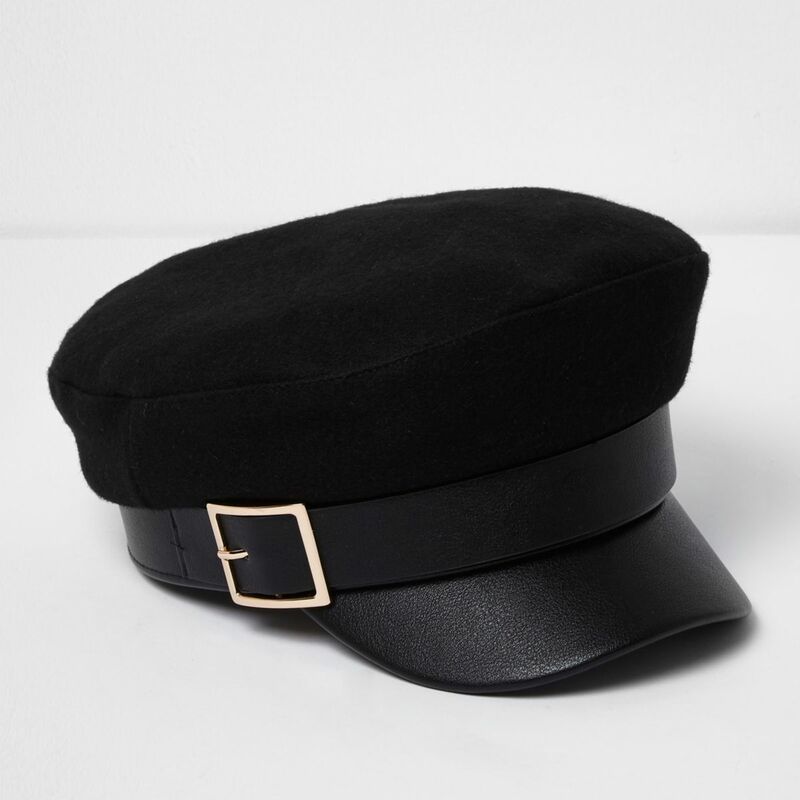 Shop this from River Island here. My Jacket is old stock but you can find so many similar ones in the shops at the moment. How stunning is the detail on this? Shop Topshop here. 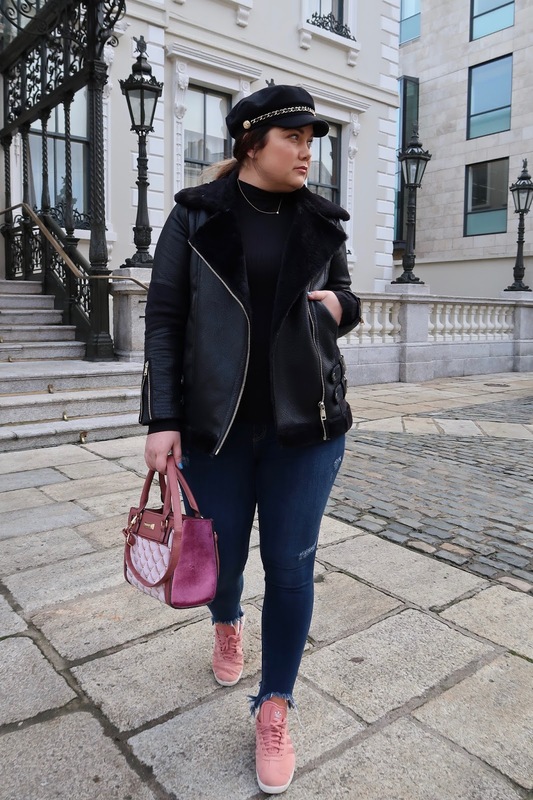 Shop my look from River Island here. 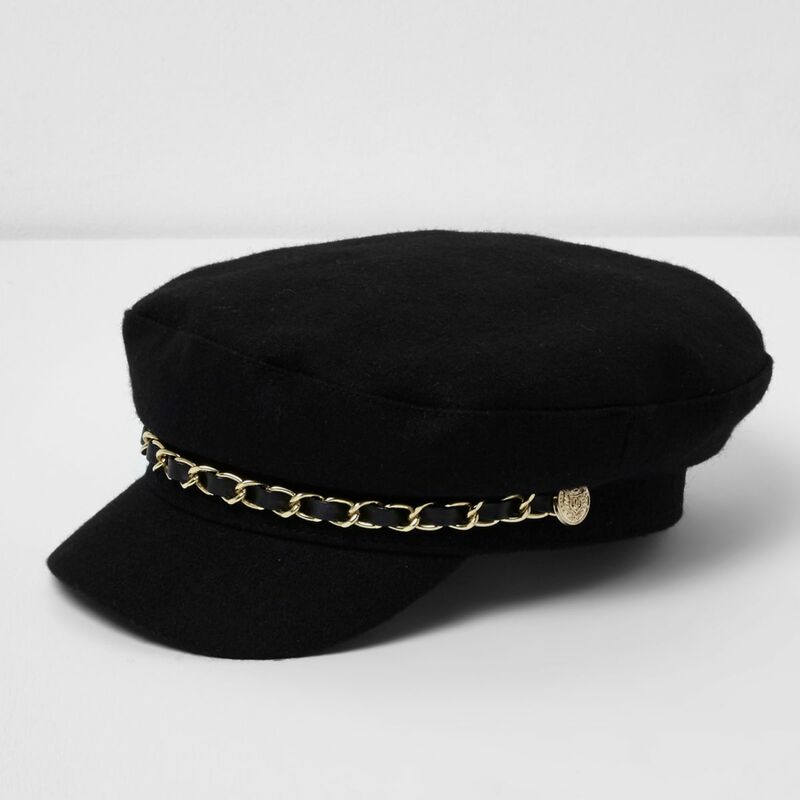 If you love this buckle look shop this hat here. Adidas Gazelle trainers are high on everybody's wishlist at the moment. They are one of the nicest trainers that Adidas has brought out and they are a cult classic. Pick up a pink pair like mine below or what do you think of the grey? They go with everything, can be worn all day because they are super comfortable but they also feel like they complete a look which is amazing! 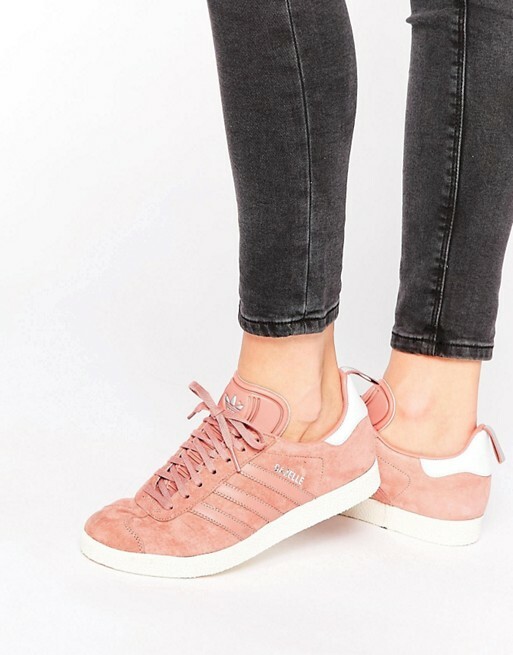 Shop these pink suede Adidas Gazelle trainers like mine here. 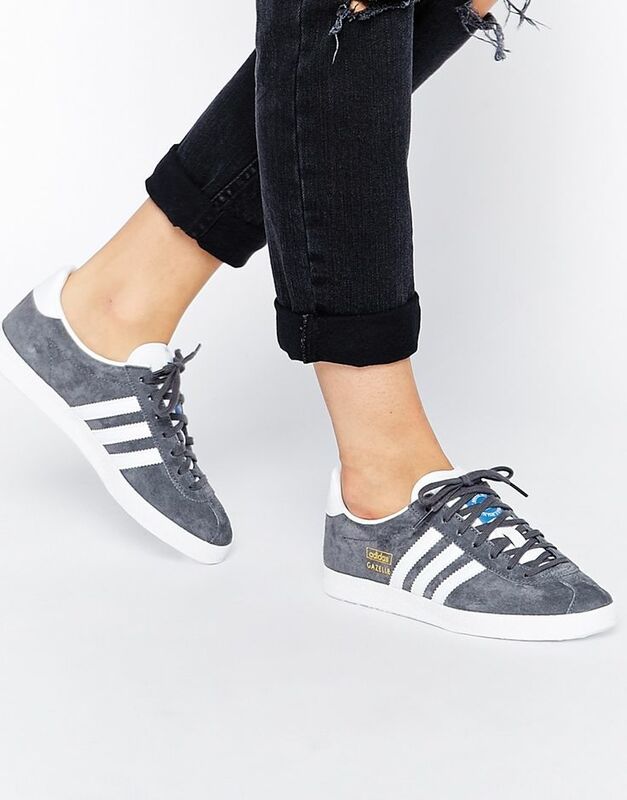 Shop the Adidas Original Gazelle trainers in dark grey and white here. 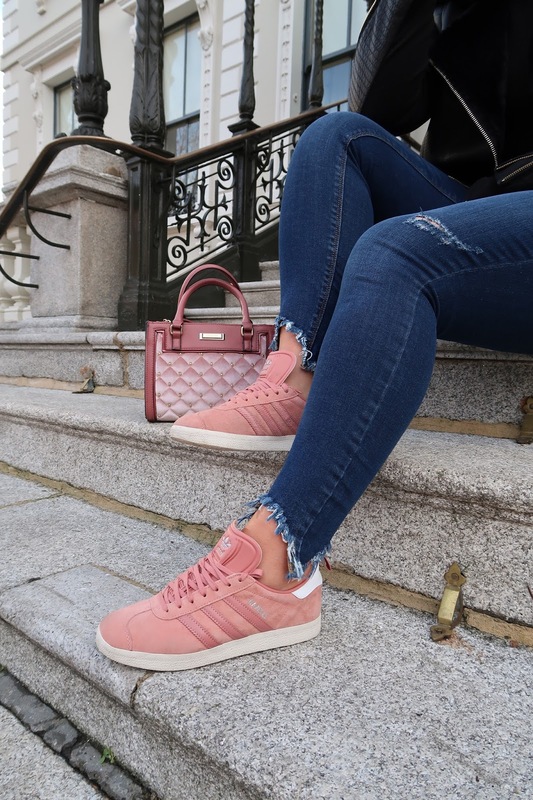 Pairing these trainers with ripped hem jeans is the ideal way to ease out of winter and look forward to some more spring/summer vibes. Start tanning your ankles gals! It's literally the only part of my body on show so I whipped out the Vita Liberata Body Blur for my ankles haha. For spring/summer jeans you want to think about lighter wash denim, a ripped or fold up hem, some distressed denim or just something a little different! It is all about what suits you, shows off your style and most of all something you feel comfortable and stylish in. I talked all about jean style on my insta stories today. Tip: showing some ankle makes you look taller! 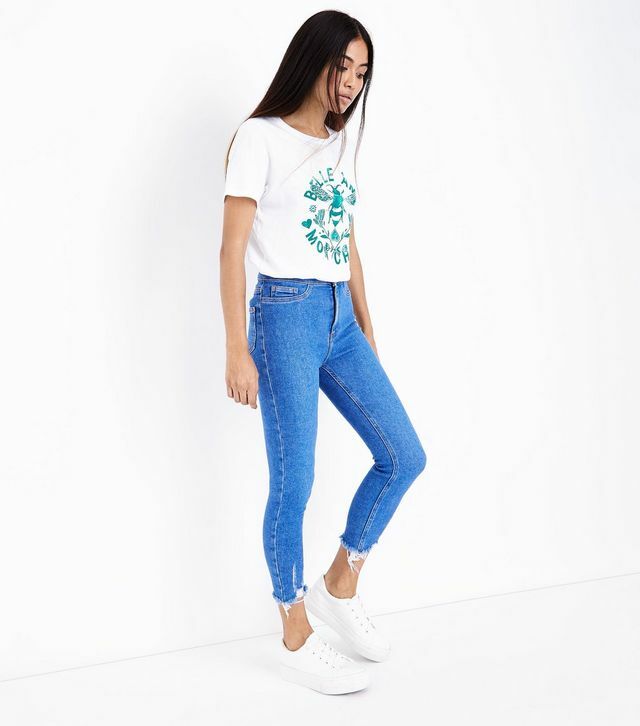 How gorgeous do these jeans look with these flat shoes? Shop here. Love these with a tee and trainers! Shop here. Thanks for reading and happy shopping gals!